Denver-based sculptor Ed Dwight proposed the Texas African-American History Memorial to celebrate more than 400 years of achievements by black Texans. The sculpture, which will be 27 feet high and be 32 feet long when completed, stands near the Capitol’s main entrance. One side of the monument, which will be completely installed by mid-October, depicts 48 slaves and marks the moment that slaves were emancipated in Texas. The other points to the state’s abundant cattle, cotton and oil resources and the contributions black Texans made to those industries. Plaques and other features still need to be added to the monument. A public dedication and unveiling of the monument will occur this fall after its completion, according to a spokesman for the State Preservation Board. Dwight said the planning and construction wasn’t easy; state lawmakers had trouble obtaining funding for the project. He’s been working on the project for six years, he said, longer than any of his previous projects. “All of the things that go on to get things done seem to all wash away when they pull the curtain back and see what’s there,” he said. The Texas monument is one of dozens of public sculptures Dwight has created to bring attention to black history across the country. He created the African-American History Monument on South Carolina’s Capitol grounds, which was unveiled in 2001. Rep. Helen Giddings, D-DeSoto, the chairwoman of the Texas Legislative Black Caucus, said the Texas monument is the culmination of many years of hard work — and $3 million — to celebrate black Texans at the Capitol. 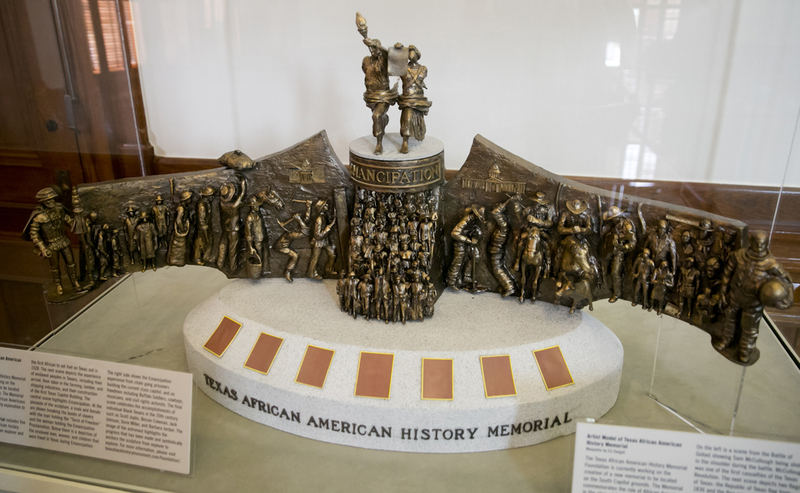 The Texas African-American History Memorial Foundation, created for the development and construction of monument, raised some of the funds for the project. The state approved $1.5 million last year to complete construction of the project. Funding issues have dogged the memorial for years. A statue commemorating Juneteenth — June 19, 1865, the date federal troops arrived in Texas to declare slaves free — was set to be installed with the passage of a 1999 bill. The project drew sharp criticism, cost taxpayers $1 million and was eventually scrapped in 2012 to be replaced with the sculpture commemorating African-Americans in Texas. Dwight said he was unsurprised by the lack of publicity around Tuesday's installation: “Even the faint possibility that something could go wrong” scared lawmakers, he said. After more than 20 years of efforts to place a monument to African-Americans on Capitol grounds "littered" with Confederate tributes, state lawmakers have approved $1.5 million that should bring the African-American Texans memorial monument to fruition. 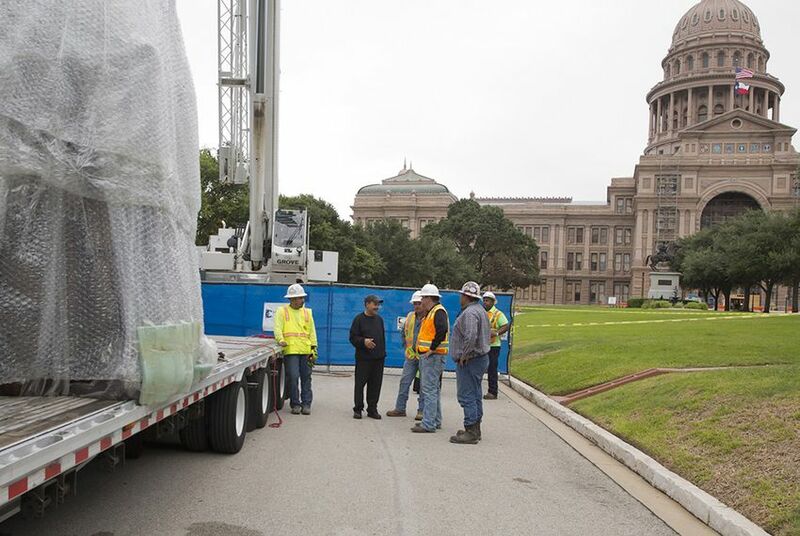 A Juneteenth monument was built for the Capitol, but it won't be installed after all. Concerns were raised about the design of one of the statues as well as historical inaccuracies. A new monument is coming to the Capitol instead.